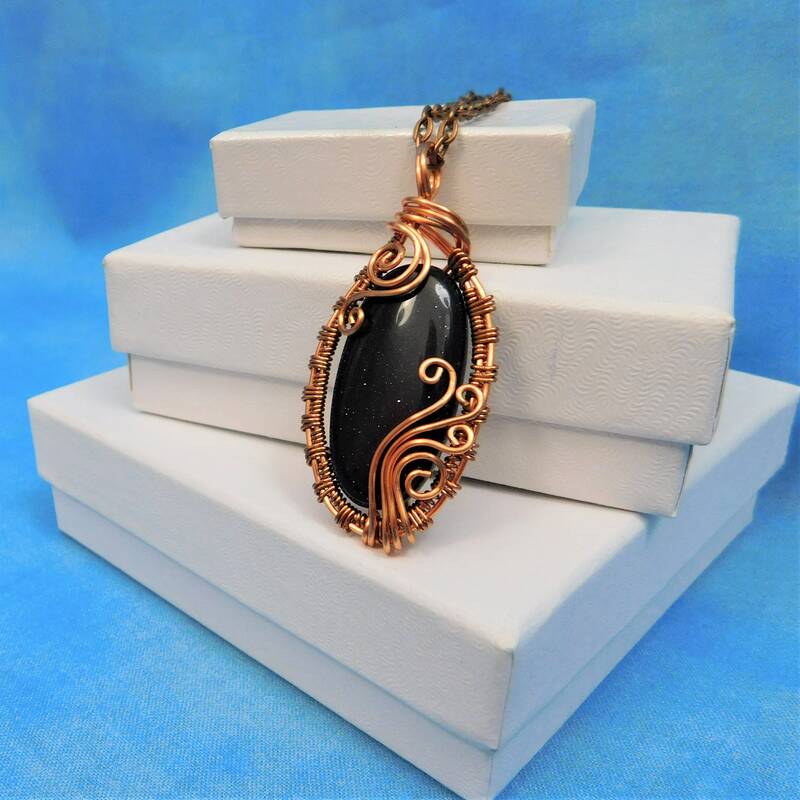 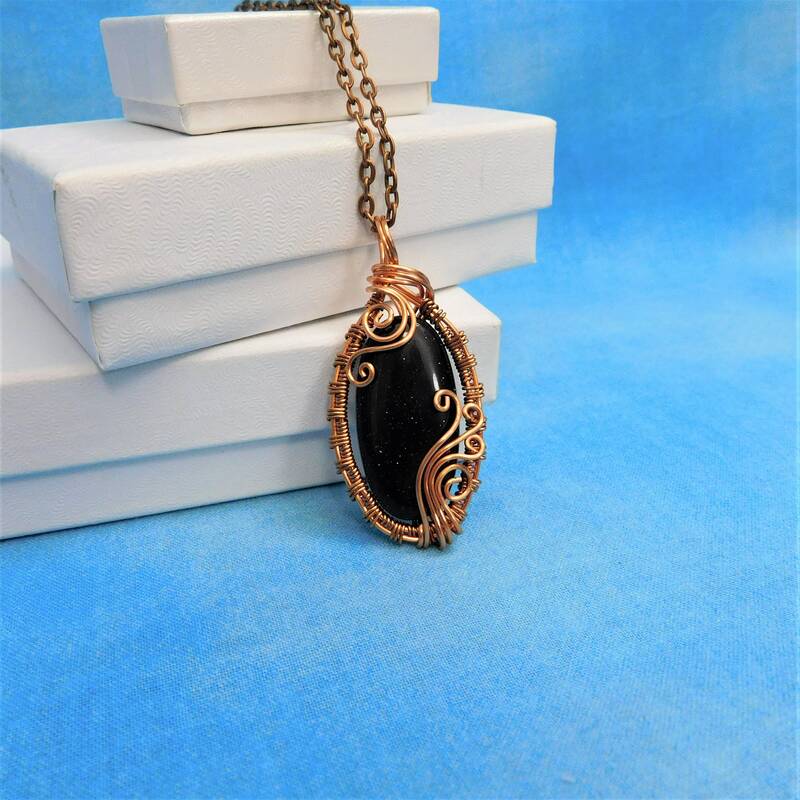 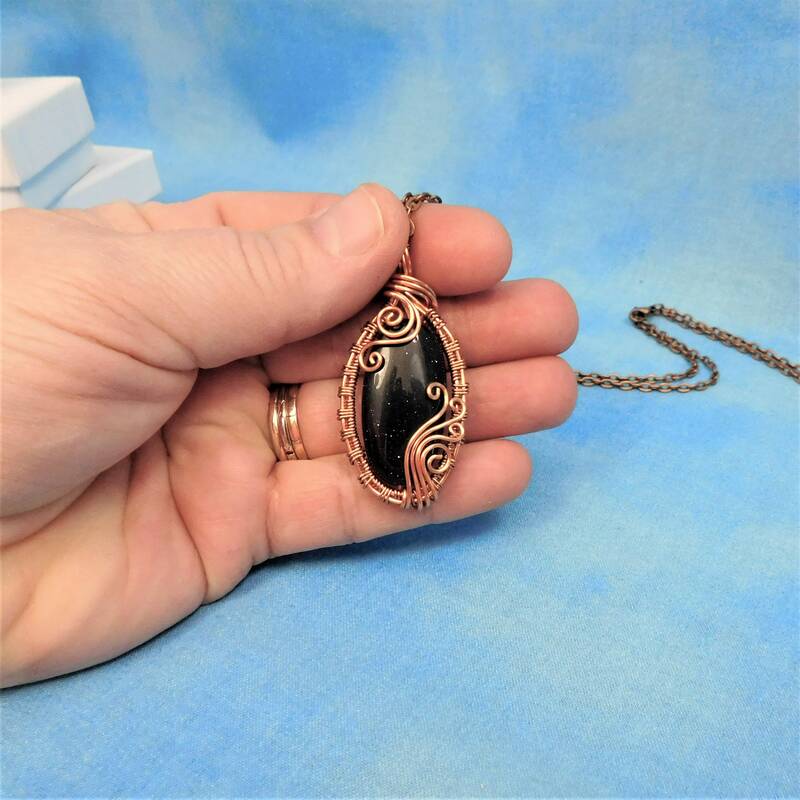 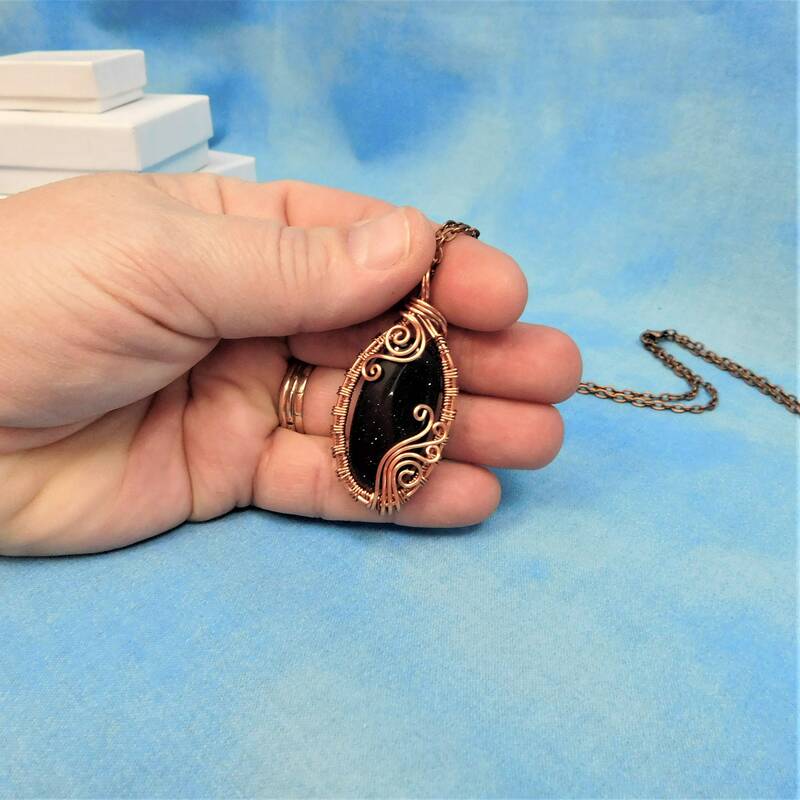 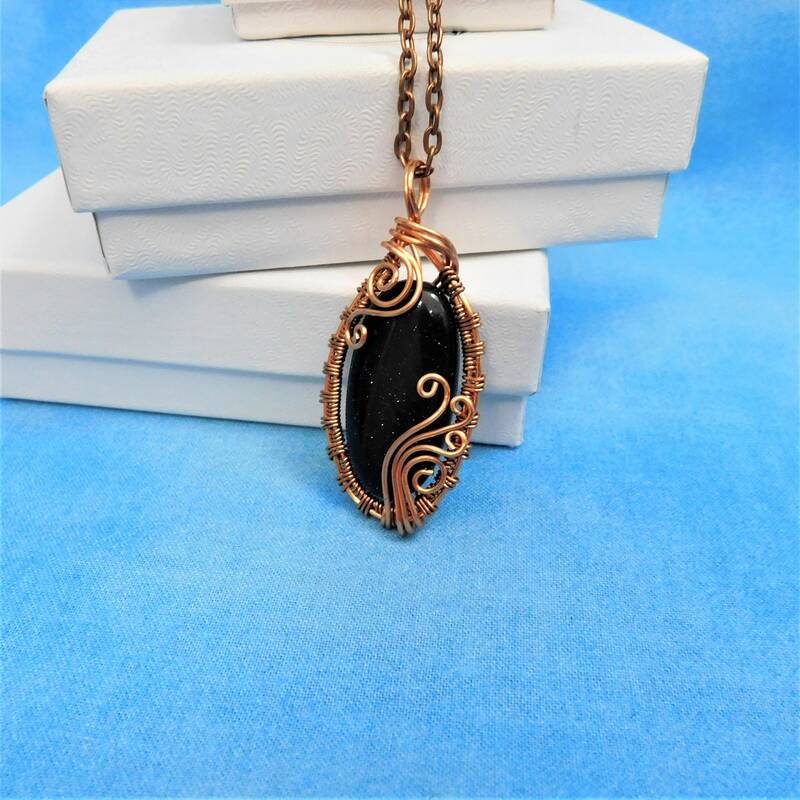 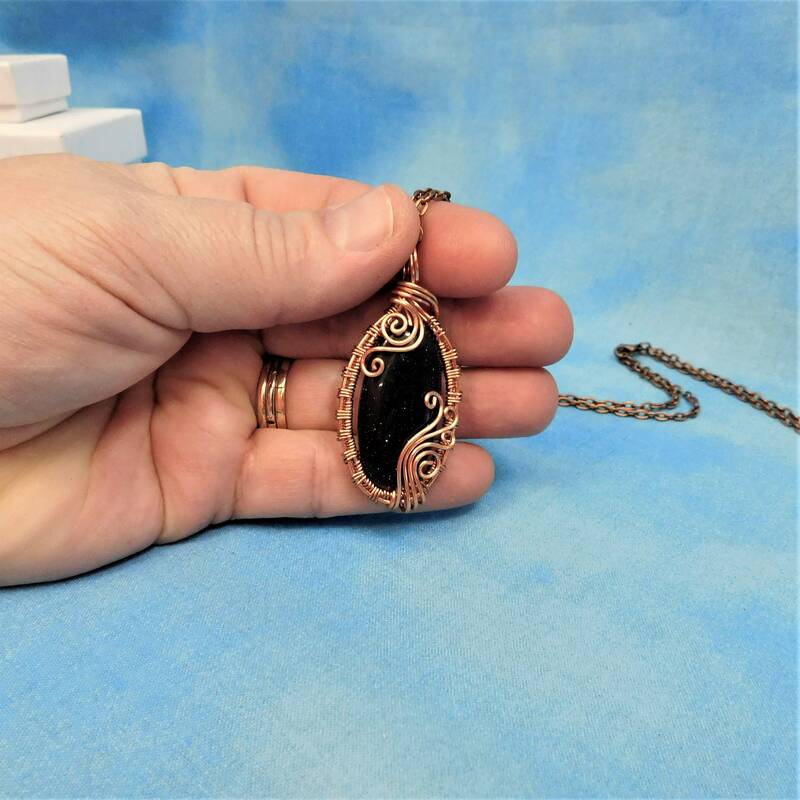 A gorgeous blue goldstone oval is artistically framed in hand woven non tarnish natural copper wire. 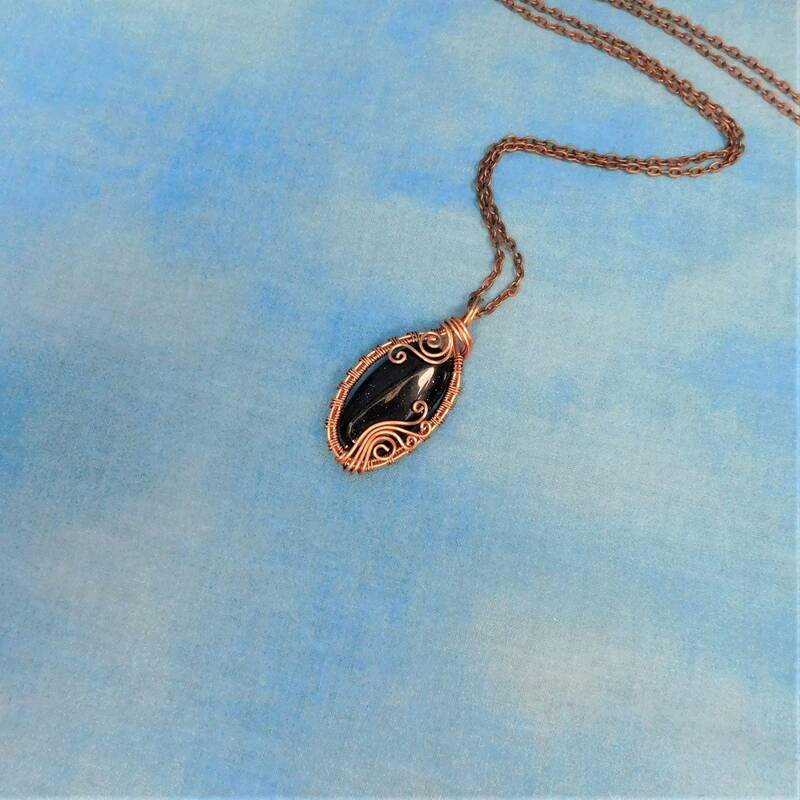 Blue goldstone is a man-made gem that was developed in 17th century Venice. 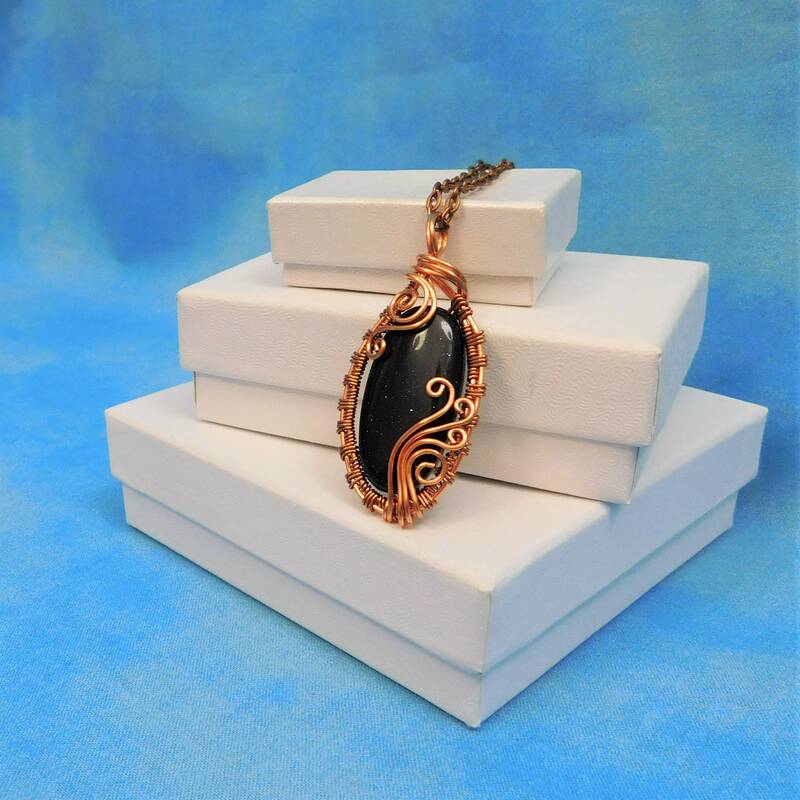 Its' sparkling flecks that occur deep within, create the appearance of a starry night sky. 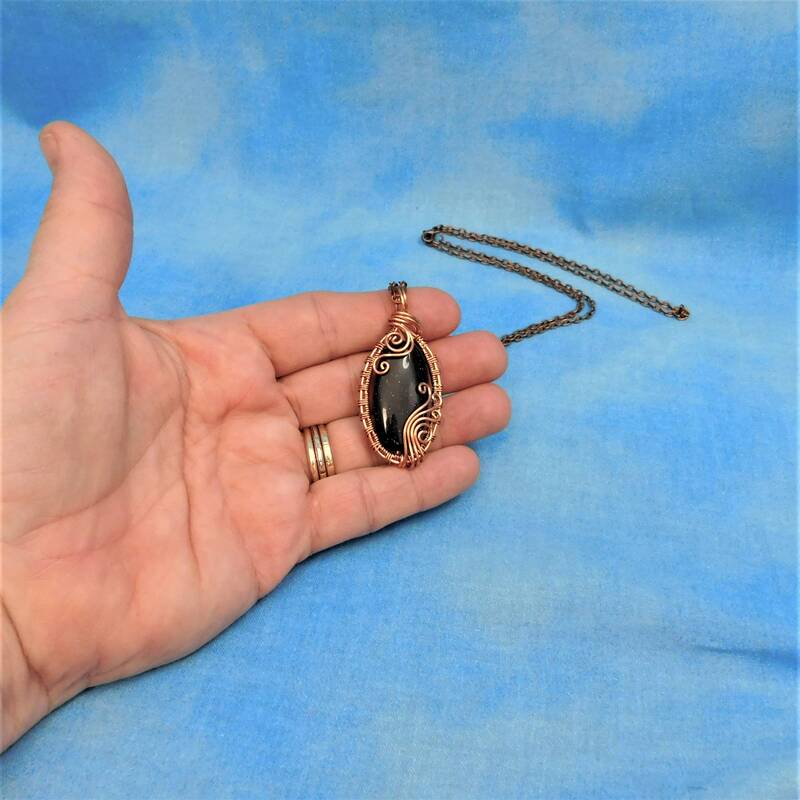 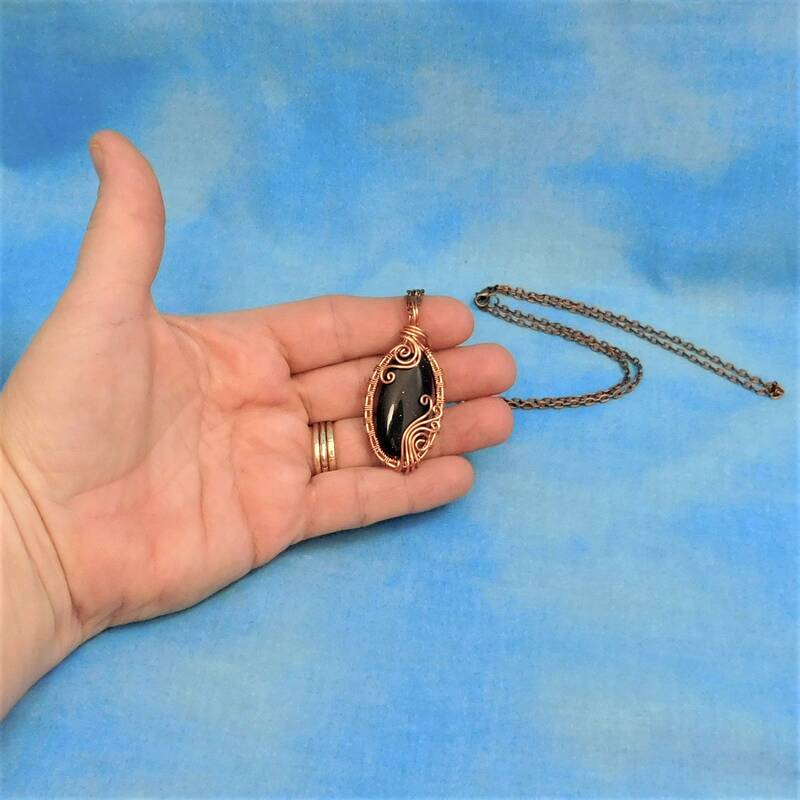 The elegant and eye-catching pendant measures 1 1/2 inches by 1 inch and comes with a FREE coordinating chain with lobster claw clasp, measured to your preferred length.